Maybe you have heard about these or maybe you haven't - regardless, things are about to get...bacon-ier. The (in)famous Bacon Mittens have arrived. Yes, they may be incorrigibly silly and a wee bit garish, but c'mon - it's bacon - it's the very essence of over-the-topness in protein form. 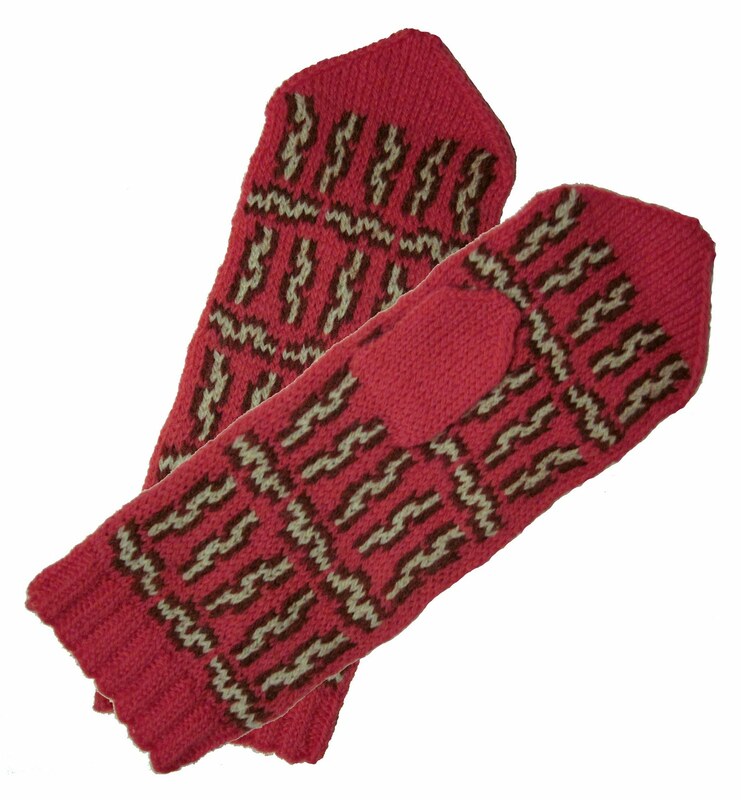 But yes, the mitten pattern - which comes complete with a fingerless option - is available here on Ravelry and will be up in my Etsy shop very, very soon. Of course you could always click that little green button to get your bacon right now. It's up to you. They are wonderful in all their bacon-iness. have you heard that Canada's first bacon festival is to be held later this summer in the London area? June 23, 2011 at 7:59 a.m.
June 23, 2011 at 8:15 p.m.